Next Gen also pays close attention to the materials and processes by which our products are manufactured. For example the wood used in our cat litter production is carefully screened wood scrap salvaged from furniture or musical instrument factories. We do not cut any fresh timber for our process, and we inspect the wood to insure no paints, varnish or chemicals are present prior to production. Whether you are looking for a natural clumping cat litter or pet treat – Next Gen goes to extreme lengths to insure that our products are safe and environmentally friendly. Next Gen cat litters are made from ALL NATURAL ingredients. The primary ingredient in Cypress Fresh, Green Tea Fresh, and Timber Fresh cat litter is wood. The wood we use is carefully selected recycled wood scrap from factories that make furniture and / or musical instruments. Wood has a natural ability to suppress bacteria and control odors in the litter box, so it is not necessary to add any chemicals or artificial fragrances to our cat litter. Next Gen’s healthy pet treats are premium chicken jerky and cookies made from the highest quality ingredients and manufacturing processes. Next Gen’s treats are all natural and produced with an emphasis on food safety and quality. 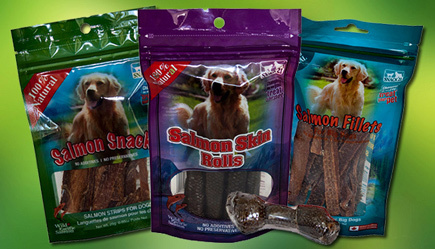 Dogs love fish and we love Snack 21! All Snack 21 treats are made from WILD caught Pacific fish; the one and only ingredient on their ingredients list. 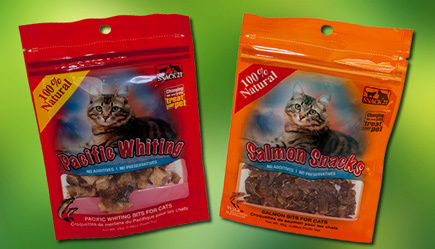 Through natural drying methods, they are able to produce treats for our favorite pets that contain no preservatives, additives, dyes or flavoring while maintaining all of the naturally occurring proteins, vitamins and minerals. Your dogs will love Snack 21's unique and healthy line of quality dog treats.